Sky Wars by Blockman is a multiplayer Minecraft style battle royale game which will pit you against other players in a fight to the death. 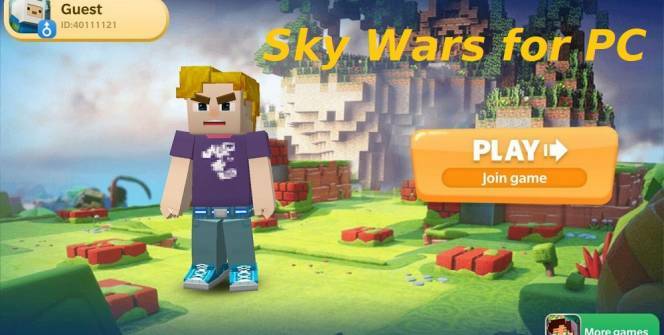 To learn everything you need to know about Sky Wars, simply continue reading. At the start of each game, you’ll find yourself as the sole player on a deserted island. On which you’ll find three chests which will contain randomly selected resources such as weapons, which you’ll be able to use to survive your upcoming battle. Once you’ve collected your resources you’ll have two choices. You’ll have the opportunity to make your way to the main island, which offers further chests or to camp out on your island, in the hopes that your foes will start to kill each other off. 1. You’ll have a far better shot at winning a Sky Wars game than most battle royale style games. If you select single player mode you’ll find yourself pitted against a field of 11 players, all of whom will spawn on their own island. 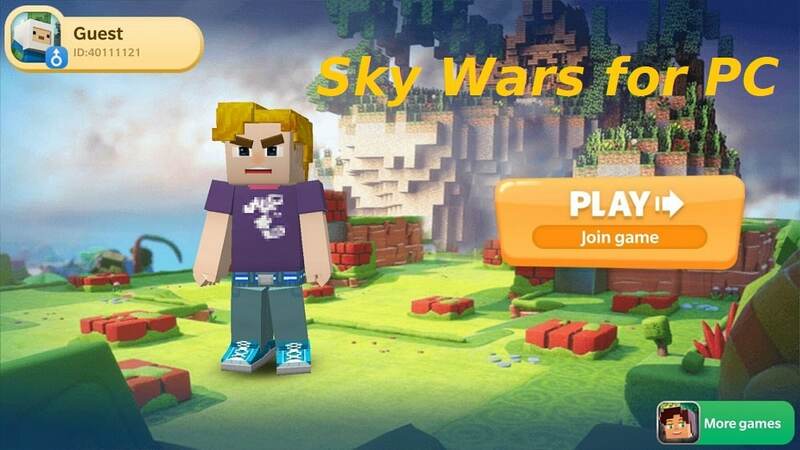 So if you enjoy battle royale style survival games but find games which pit you against a large field of over 40 competitors difficult to win, it’s well worth trying out Sky Wars. Especially as there is no danger of starting the game off in the same area as a more experienced player. 2. 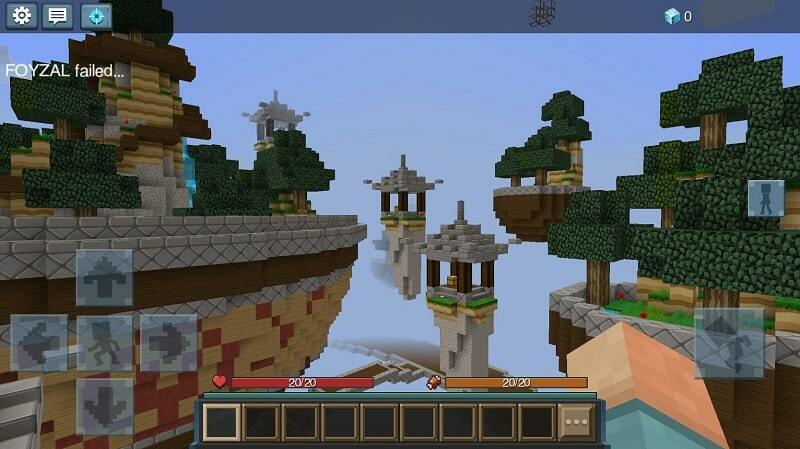 Sky War’s Minecraft style graphics make playing Sky Wars a unique experience. Sky Wars definitely stands out from all the other survival games which are available to download as Sky Wars boasts cute, unique Minecraft style graphics. So if you’ve spent hundreds of hours playing Minecraft, you’re sure to fall in love with Sky Wars. 3. You’ll be able to use rare, special items to increase your chances of winning. If you find yourself in possession of a creeper kit, you’ll be able to strategically use your creeper kit, which contains TNT in order to blow up your enemies. Another rare item which is well worth getting your hands on is a teleporter kit, which will give you the advantage of being able to teleport to your enemies islands at the start of a game, in order to stealthily eliminate them from the game. 4. There are a wide variety of items which you can receive from the game’s chests. There are over 10 random items which you can receive from Sky Wars chests. Examples of which include fishing rods, regeneration potions, bows, snowballs, fire resistance potions, and diamond axes. So in order to excel at Sky Wars, you’ll have to learn how to adapt your strategy each game, to suit the items which you pick up. So if you love playing games which allow your opponents to keep using the same exact strategy to win games, over and over you may enjoy playing Sky Wars. As no two Sky Wars games will be the same. So if you’d love to be the last player standing in a Sky Wars battle royale style games, it’s well worth downloading Sky Wars. Sometimes when playing Sky Wars, bluestacks ask you fee to pay but gives you option to download some apps. Every time it asks you just select “Install apps” and continue using it free. I hope you enjoyed this article, please rate and share. If you have problems running Sky Wars on your desktop or any other issues, leave a comment below.